Most bloggers are excited to reveal a new name or blog design, but not me. I am miserably lacking in the web-design-talent area. (My money tree isn't bearing fruit right now either, so . . . yeah.) Maybe one day html and all things techy will click, but it is NOT this day. Anyway, as some of you have probably noticed, my blog does have a new name, Brandi Raae (that's me). It was formerly known as Autumnfawn Lane, but I decided to change it, and because my blog doesn't really have an overall theme like cooking, furniture makeovers, parenting, etc., a "catch all" title just wasn't happening. 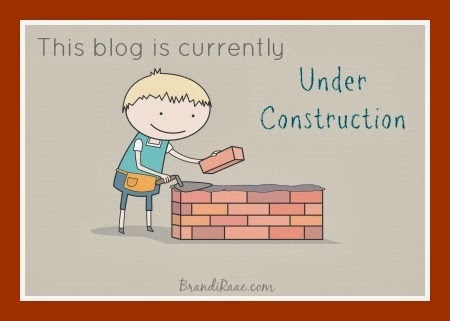 So, let me reintroduce myself, "Hi, I'm Brandi Raae, and I blog about anything and everything." Now, when you change your name and blog address, you need a new header, right? Sounds easy, and I know for some it is easy. Oh snap, not for me. I've played around with a few different header designs trying so hard to get the size, color, and whatever else right, and after a while, I got tired of doing it over and over again. Grrrrrrrrrrrrrrrrrrrrrrrrrr. I also tried fixing up my template, and that didn't end so well. I lost all my little tab things that go under the header. After that, I called it quits before I ended up losing my entire blog. As a reviewer for TOS, that just CANNOT happen. If it did, I would most definitely have to move to Australia! Last night as I was reading in bed, hubby (that nice guy who bought me a domain), came in to show me that he'd been working on adding tabs back to my blog. He also sat with me for a while to help me start "cleaning" things up a bit. Truly a sacrifice since he really needed to be working on some of his other very important jobs. Thanks for taking time out to help me, Babe! I will still be regularly posting, so dear readers, please bear with me! 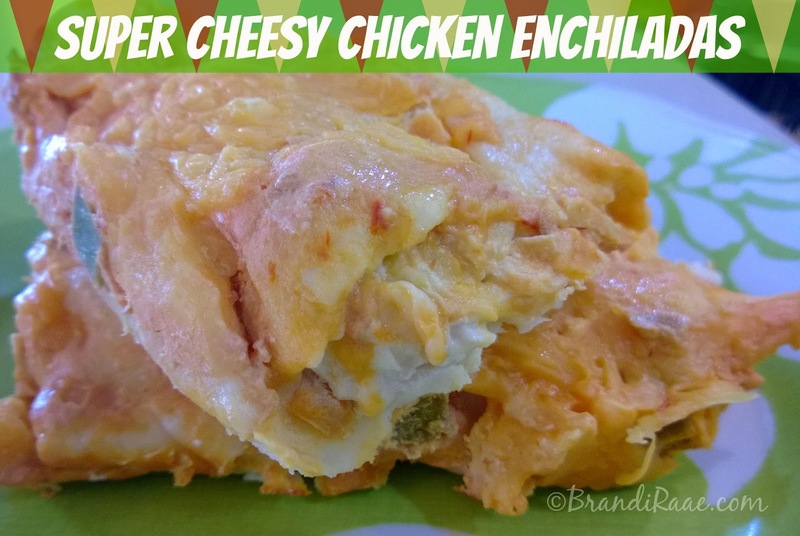 This recipe is NOT for those who are afraid of cheese! I was introduced to this recipe over 15 years ago when I was a nanny for 3 adorable kids, and I have been making it at least once or twice a year ever since. It sure satisfies that cheesy Mexican craving, and my family really likes that the recipe calls for flour tortillas instead of corn tortillas. Try it. It's YUMMY! Mix together chicken, Monterey jack cheese, sour cream, onion, and jalapeños. Mix together heavy cream and salsa and pour over tortillas. About 2 cups mixture for each pan. Sprinkle cheddar cheese on top - 2 cups per pan. If you're a homeschooler you need books, right? Choosing the perfect curriculum can be quite a daunting task. With so many choices these days, how can one possibly know which to choose? Well, today I am sharing a few things I have learned over the past decade about curriculum and how my views have changed somewhat over the course of our adventure. For the first few years of homeschooling, curriculum choice weighed heavily upon my heart. I felt that one wrong choice could ruin my kids for life! Totally not true, huh? Fortunately, most of my fears about carrying the weight of my kids' education on my shoulders has subsided. I feel quite free now when it comes to choosing curriculum, but I still have a few basic curriculum essentials. 1. Curriculum by Subject: It has always been important to me to pick and choose curriculum based on each individual subject rather than to choose one major curriculum that covers all subjects, like a curriculum-in-a-box type of thing. Extra work? Maybe. But it helps me stay in budget and cater to the specific needs of my children. Here's how I do it: During each summer, I make a list of subjects for each of my kids that they will need for the next school year. Mostly, the subjects stay the same like Math, English, History, Science, etc. I do make room for changes and extra curricular subjects, too, as this changes based on grade my child is in (and I use the word grade lightly here) and new interests and such. The above materials are just the basics. We have quite a hodge podge of other books and supplemental materials ~ I feel more homeschool posts coming on! Being a part of the Schoolhouse Review has really helped me in the flexibility area. I have to constantly add to or readjust our current homeschool routine in order to incorporate new things. Challenging sometimes? Yes. But, my kids and I have had the opportunity to be exposed to SO MANY great books, programs, curriculum, and what not. It's also opened my eyes to lots of different learning styles. I started out gung ho on a Classical education. I am still very partial to it, but that style didn't leave a whole lot of room for flexibility and creativity. Interrupting our curriculum schedule to do a unit study or focusing on something that my child is really interested in at the moment gives us a break and breaks up the monotony a bit. 4. 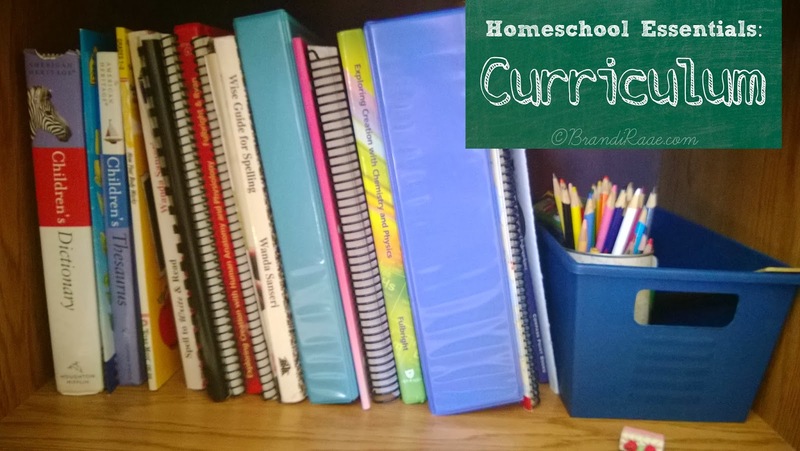 Use-What-You-Have-Curriculum: Totally essential in our homeschool. I've never had the liberty to buy whatever my homeschooling heart desires. We have to use what we have on hand, and I have to pass down previously used books to younger children. Usually, if my kids don't like a certain a certain subject's curriculum, well, it's just too bad. We muddle through until the next year. What I have learned to do is be flexible within the curriculum. For instance, if my child is struggling with writing a personal narrative for English, but he has an awesome idea for a fiction piece, I may let him change the assignment. The Internet and the library have really been a huge help for filling in gaps and for letting my children explore personal interests. What are your curriculum essentials? 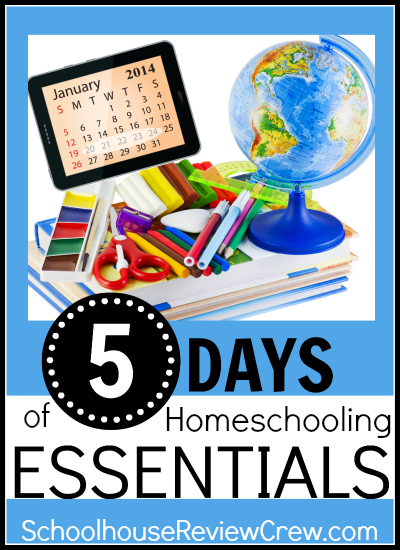 Visit the Schoolhouse Review Crew to read about more homeschool essentials! Continue reading by checking out some of the lovely blogs below . . .
Of course I knew that when I began this homeschooling venture many moons ago that education would be extremely important, but I also knew that there was something far more significant than reading, writing, and arithmetic . . . I want my children to grow up to be more than just smart. More than just "good" people or decent citizens. I want them to be known by their godly character. And godly character can only be built upon the solid foundation of Christ the Rock. My kids know because I have told them more than once that I personally CANNOT produce godly character traits in them. They can certainly mimic my behavior, but I am powerless to modify their hearts in any way. What I can do as a faithful servant of Jesus is provide a fertile environment in which character seeds will be free to sprout and fully mature into beautiful, sturdy oaks of righteousness anchored to the ground by deep, thick roots. I am a far cry from perfect, in fact, God is using homeschooling to develop godly character in me. I love that with homeschooling, both my children and I can grow stronger together. 2. Take time to read God's Word by yourself. This can be challenging with small children who seem to need constant attention, but it is vital for your spiritual health. I took advantage of naptime when my kids were little and tried to spend time in the Word every day. When my kids outgrew naptime, I made them have one hour of rest time each day. They had to play quietly in their rooms. Having this time of peace and quiet was absolutely essential!! Now, I am at a stage in my life where I can actually have my devotions in the morning before the flurry of activity begins. Yea! Currently, I am enjoying my new NIV Homeschool Mom's Bible: Daily Personal Encouragement complete with 365 daily devotions written by veteran homeschool mom, Janet Tatman. 3. 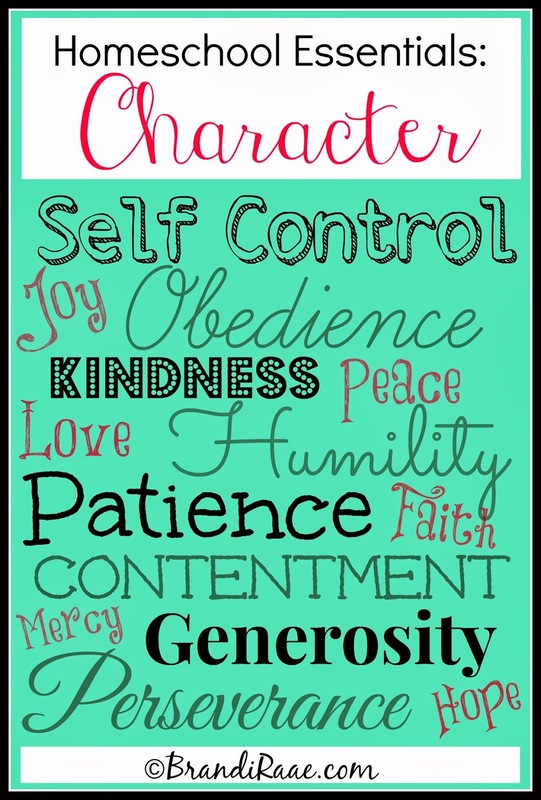 Model godly character traits. As James 1:22 says, "Do not merely listen to the Word and so deceive yourselves. Do what it says." Put into practice what you read. We can't expect our children to exhibit godly character traits if we aren't willing to set the example. If you want your children to be patient with each other, they need to see you being patient. If you want your children to be self-controlled, they need to see you show self-control. Obviously, you get the idea. As you know, when you and your kids are around each other all day long, they see the good, the bad, and the very ugly. My kids know my worst weaknesses. They see me fail on a regular basis. It's not about being perfect but REAL. When you sin and fall short, well, that's the perfect opportunity to confess your sins and model the godly character traits of humility and repentance. I know I should be doing this a whole lot more, too. 4. Discipline your children. "Discipline your son, and he will give you rest; he will give delight to your heart." (Proverbs 29:17) Provide boundaries and when those boundaries are crossed, don't be afraid to give consequences. A helpful tool to assist with consistency in discipline is The "If-Then" Chart. I used this chart with my own kids when they were younger. I liked that both my kids and I knew exactly what to expect when a child disobeyed. The goal wasn't to become a slave to the chart since a chart can't possibly cover every single sinful act or the motivation behind the act, but the goal was to be able to calmly and effectively discipline with consistency. I am not going to get into the methods of discipline here, but Proverbs is pretty clear about folly being bound up in the heart of a child. Children desperately need discipline in order to have folly driven far from them. (Proverbs 22:15) Disciplining your children consistently can be frightfully exhausting, but I do know from experience the sweet reward of diligence in this area. Hebrews 12:11 gives much needed encouragement for us as parents to not grow weary in providing discipline: "For the moment all discipline seems painful rather than pleasant, but later it yields the peaceful fruit of righteousness to those who have been trained by it." 5. Use outside resources to emphasize the importance of building character. While this isn't a necessity, it can be nice to have extra resources to reinforce what you are teaching. I have always had a very strict homeschool budget, so I never went crazy with buying extra materials, but 2 books that I used to help my children focus on developing godly character traits when they were little were The Original 21 Rules of This House and Uncommon Courtesy for Kids - A Training Manual for Everyone . I also take the opportunity to discuss characters in all the books that I read aloud to my kids. This is a great way to get your kids talking about right vs. wrong choices etc. And it's absolutely free if you use the library! From the time my kids were old enough to choose toys to play with, I taught them to clean up after themselves. At age 5, all of my children had to make their beds before they ate breakfast. 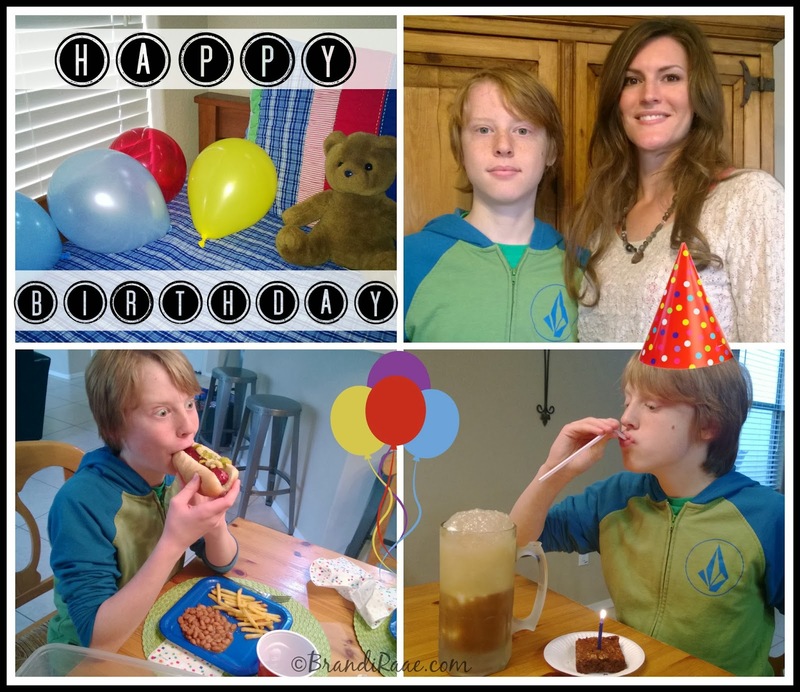 As they got older, I began giving each of them daily chores appropriate for their age. At age 10, my kids have to begin doing their own laundry. On weekends, they can earn a certain amount of money for extra chores. Here's an example of what my kids' chore schedule looked like 2 years ago. Trust me, I have normal kids. If you asked them if they like doing chores, they would probably answer with a heartfelt, "No!" But, I think I know what is best for them, and being responsible surely can't hurt! Whew! This post was rather long, but I am extremely passionate about this subject! Developing godly character flies in the face of the world and its philosophies, so being diligent in character training is a homeschool essential for me! Couch Time. It's what I affectionately call the time that my kids and I spend together every morning from 8:30 - 9:30. And, well, we're all on the couch. You'd think with homeschooling kids would always be together, however that is just not the case in our family. Once couch time is over, they pretty much go their separate ways until we meet again at lunchtime. That's why I think it's crucial to have a certain time every day that we spend together doing the same thing. I am glad that it works out for us to have that together time in the morning, but anytime would work as long as togetherness was a priority every day. 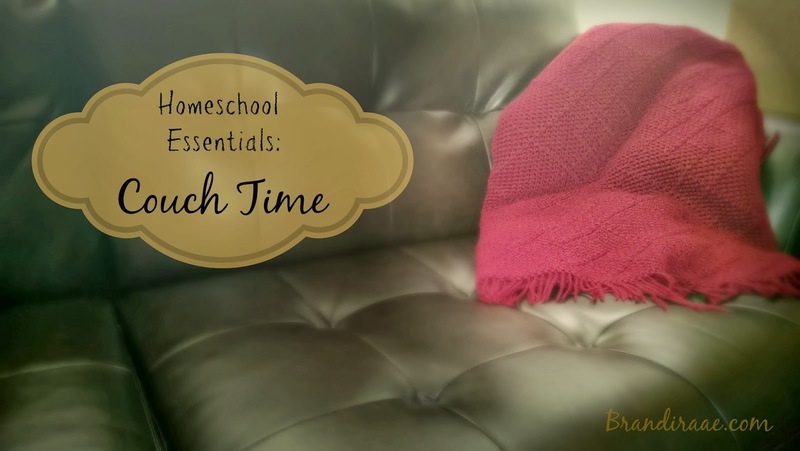 Is spending homeschool time together essential for you, too? How do you incorporate together time in your day? Be sure and visit the Schoolhouse Review Crew! 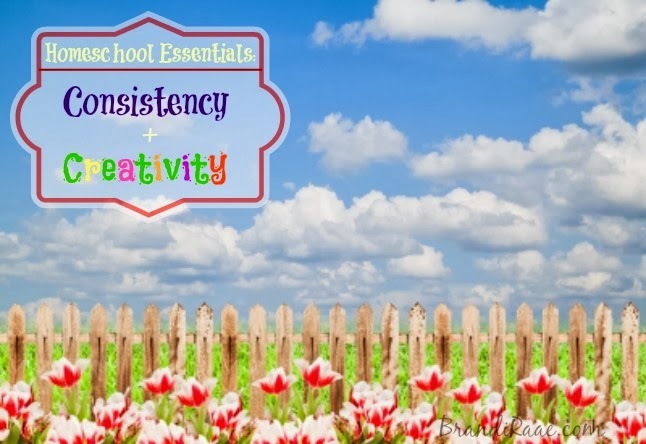 89 bloggers are participating in the Homeschooling Essentials Blog Hop. Below is just a sampling of some great insights you will find . . .